Do you think you look at your smartphone too much? How much is too much? A study carried out has shockingly found that Americans look at their phone on average 52 times a day. This means amongst an estimated 270 million Americans, we are viewing our smartphones about 14 billion times per day. 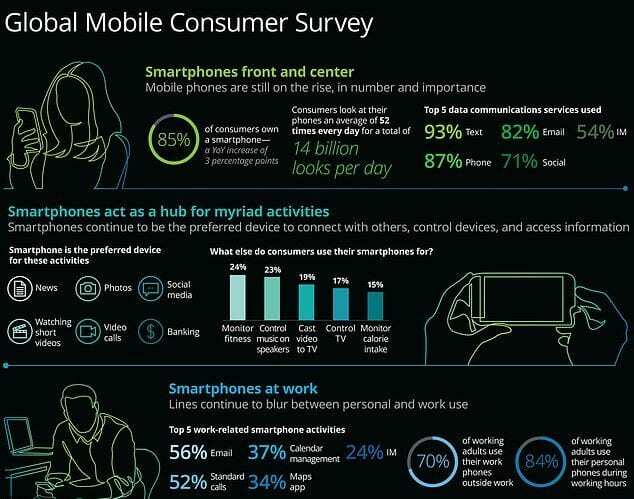 Whether 52 times seems a lot or not, Deloitte’s U.S. edition of the 2018 Global Mobile Consumer Survey found 39 percent of consumers now believe they use their smartphones too much. Some of us try to deny our excessive smartphone usage, but research has also shown that 18 to 34-year-olds were amongst those most likely to admit their addiction, with 60% saying they used their phone too much. Meanwhile, 63% of the respondents reported trying to limit their usage, with only about half managing to cut back. Smartphone use has risen by 3 percent since 2017 to 85 percent. It seems that a lot more of our parents and grandparents are becoming hooked to the small devices, with the strongest growth being among the U.S. consumers aged 45 and over. “This year’s survey really advances the story of smartphones as the true center of our lives, both inside and outside the home,” said Kevin Westcott, vice chairman and U.S. telecommunications, media, and entertainment sector leader, Deloitte LLP. With smartphones becoming more and more useful to us for things such as being able to communicate, work, socialize, consume entertainment, stay fit, or take care of things at home, it is hard to avoid such an increase. Smartphones are top of the league when it comes to most-used devices. The 3 percent rise is triple that of the other device categories such as smartwatches, which are now used by 14 percent of Americans. Following shortly behind phones are laptops (77 percent), desktop computers (57 percent), tablets (57 percent), fitness bands (21 percent), virtual reality (VR) headsets (8 percent), and smartwatches (14 percent). 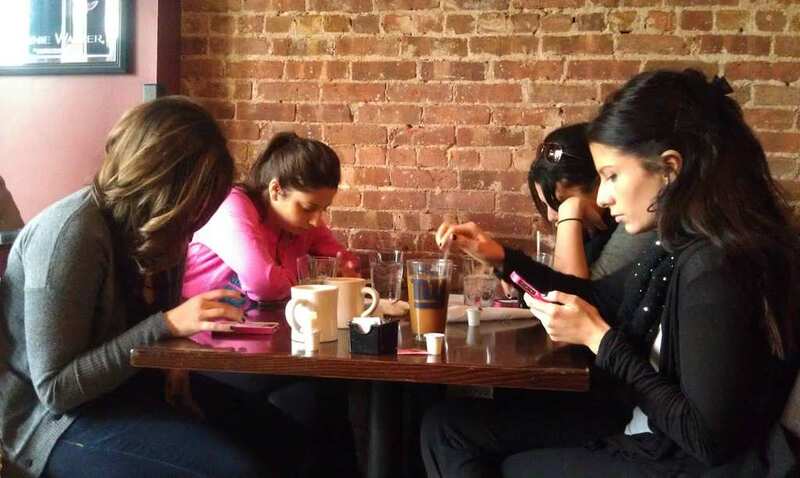 So the next time you have your phone on the table while dining with friends, browse social media during an interaction, or you are unable to stop chatting to someone before going to sleep, remember – you are not the only one.